I recently tuned into Ken Gerhard's radio interview with cryptozoologist John Kirk to hear his views on the Loch Ness Monster as well as other freshwater cryptids. Imagine my surprise then when he came straight out and said there was no cryptid in Loch Ness and it was all a matter of misidentification and hoaxes. In the few minutes he spent on Nessie, he basically focused on the Surgeon's Photo and that was about it. Disappointed with that assessment from someone who actually believes that large unknown creatures inhabit lakes, I consulted his chapter on Loch Ness in his 1998 book, "In the Domain of the Lake Monsters". It was a chapter which was inconclusive on Nessie and again spent large amounts of space on the recent research by Alastair Boyd and David Martin on the Wilson photograph. Overall, he wrote that he did not find the photographic or eyewitness evidence credible. Okay, he is entitled to his opinion, as I am entitled to now respond as someone who is more familiar in the matter of the Loch Ness Monster (as he is undoubtedly more familiar with the Lake Okanagan Monster). So, firstly in the matter of photographic evidence. I went to the website of his own British Columbia Scientific Cryptozoology Club (of which he is a co-founder) and examined their page on Ogopogo. In the light of what John said about the quality of the Loch Ness Monster evidence, I was expecting to see images of a superior quality. Go to the page and judge the three images for yourself. If this was the banner page for Ogopogo, I would have expected something better. John Kirk himself has claimed to have seen Ogopogo eleven times in total. A look across the net via Google did not seem to yield any photographs or videos taken by him on those occasions. I am not doubting his claims, but where can I see the images he recorded? In fact, a general search of the web for Ogopogo pictures, brings up a sequence of images that I would not consider superior to Loch Ness Monster images. Moreover, I could not find one image purporting to be the head and neck of the creature. Can somebody point me to some website? Either, these images do not exist or they are very well hidden. John's dismissal of Loch Ness sightings as misidentifications needs to carefully said. The reason being the explanations he gives against a Loch Ness cryptid must of necessity be equally applied to all claimed Ogopogo sightings. In his book, John claimed there are more recorded Ogopogo sightings than Nessie ones. 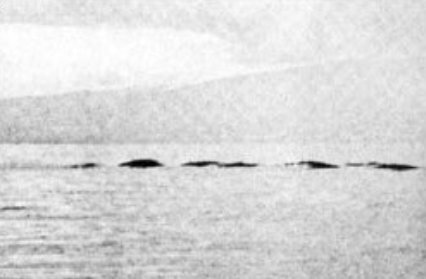 As I recall, Henry Bauer listed about 600 sightings in his 1988 book, "The Enigma of Loch Ness". A recent database update puts the figure over 1,000 while others claim more. Are there more than 1,000 Ogopogo sightings on the record? I am not suggesting every Loch Ness Monster report is a bone fide monster, but I am pretty sure that assumption can be also applied to the list of Ogopogo sightings. It should not surprise John that the Ogopogo sceptics apply the same arguments to his creature as he does to the Loch Ness Monster and come to the same conclusion about Ogopogo as he does about Nessie. Is this consistent? Let me then sum up my opinion on the matter. John says he has seen Ogopogo eleven times and on those experiences he firmly grounds his convictions. But people at Loch Ness claim to have seen the Loch Ness Monster and sometimes in better circumstances than him. Should their conviction be any less than John Kirk's? I would say not. I accept the idea of a cryptid in Lake Okanagan and I accept it on the same grounds I would for a creature in Loch Ness. I think John should accept the same for a creature in Loch Ness on the same grounds he would for a creature in Lake Okanagan. As an aside, John also talked about his expeditions to Africa in search of the Mokele Mbembe cryptid. In the light of talk about close up sightings but no photos, may I make a suggestion? On the next expedition, leave the various tribes with digital cameras and a good supply of batteries. Come back in a year or two and see what they have come up with. Better still, leave your email or phone number and they can send the pictures by Internet without anyone needing to step on a plane. Not all interesting pictures from the loch have to involve the monster. I took this from outside the Urquhart Castle Cafe a few days ago. So I have returned from a few busy days at the loch and will write up a report once I have processed various files. Artist Jack Rumney was painting the castle around the same time, so here's his tasteful rendition of the castle from the opposite side.